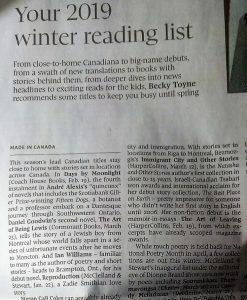 in the first paragraph of “Your 2019 winter reading list.” The whole article is a two-page spread so here’s a snippet. If you’re looking for a reason to buy a fat, glossy fashion magazine, Reproduction is in the winter 2019 issue of FASHION, as part of its Fuse List (“a comprehensive list of everything, everyone, and every place we predict will blow up in 2019” or “all the books, movies, and podcasts you’ll be obsessed with in 2019”). It’s cooler in print but here’s an online peek. A paywall stands between you and an interview I did with Suzanne Andrews for Quill & Quire. It’s a lengthy spread and I love the image that leads off the article. 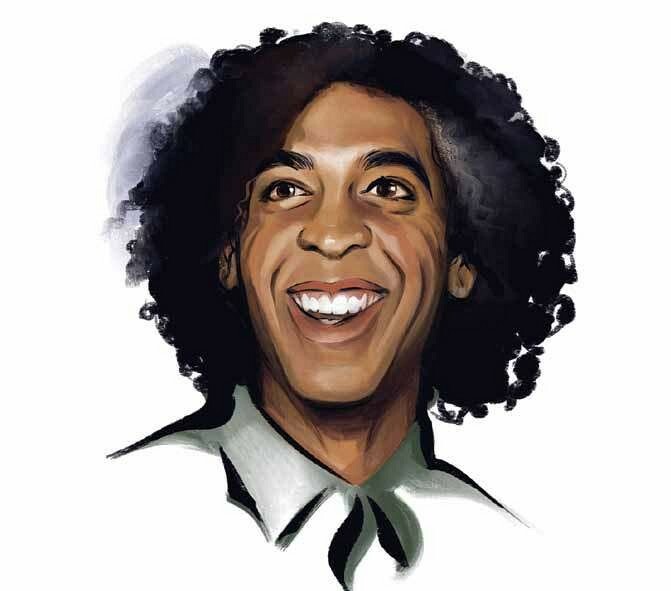 If you or someone you know is responsible for this drawing, please let me know. You’re incredible! 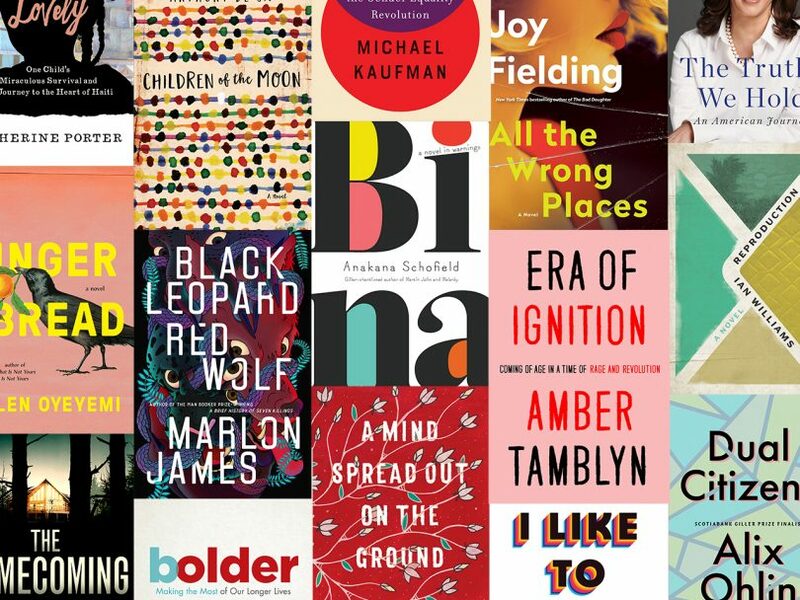 Reproduction is on Chatelaine’s list of Buzziest New Books for 2019 along with books by Alix Ohlin, Anakana Schofield, Zalika Reid-Benta, Ian McEwan, Helen Oyeyemi, Alicia Elliott, and Marlon James. If you don’t want to click through the list (for shame, yall), here’s the page on Reproduction. The trustees of The Griffin Trust For Excellence In Poetry are pleased to announce that Sarah Howe (UK), Ben Lerner (US) and Ian Williams (Canada) are the judges for the 2018 Griffin Poetry Prize. Looking forward to spending some time in August 2016 at the Al Purdy A-Frame. By then I should be proofreading my novel. Enzo Campa won the national Poetry-in-Voice Recitation Contest, the brainchild of the Griffin Trust, with his recitation of my poem, “Echolalia.” Poetry is alive in high schools. As proof, I submit this video of Enzo reciting “Echolalia” in front a bunch of lockers. I’m on a year-long task force of the Writers’ Union of Canada that seeks to examine and update, if necessary, its governance structure. 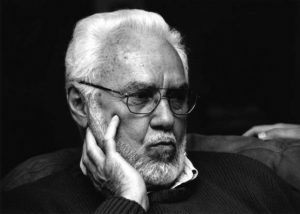 There’s no obligatory military-type service expected of writers but by nature, I’d like to believe that we’re more apt to kiss the hand that feeds us than bite it. It’s not a secret anymore. I was on a number of Canada Council juries over 2015-2016. Trust me, there’s a lot of integrity and discussion behind grant decisions, particularly at Canada Council. Your work is seriously considered by multiple people and the committee gets disappointed too when there’s not enough money to go around. We speak kindly and encouragingly of many of you who may not get funded. Happy to serve on the Al Purdy A-Frame residency jury with my great colleagues, Steven Heighton, Karen Solie, and Marilyn Dumont. Congratulations to all the winners! 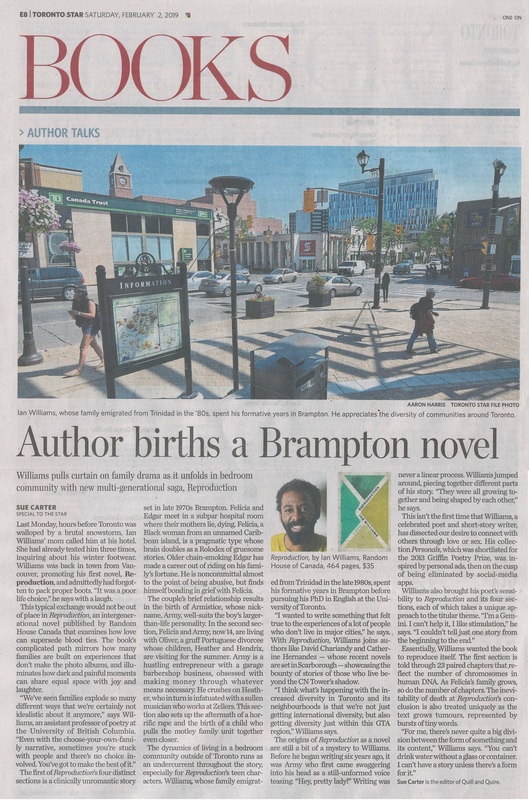 I’m a jury member for the Ontario Arts Council Writers Reserve Grants, administered by Diaspora Dialogues, as well as the Diaspora Dialogues Mentorship Program. Diaspora Dialogues is really make sure arts funding and programming reach historically under-represented groups. 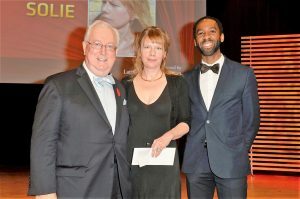 I was honoured to be a judge, along with Al Moritz and Susan Musgrave, for the Latner Writers Trust Poetry Prize, a $25 000 prize awarded to a mid-career Canadian poet, 2015. 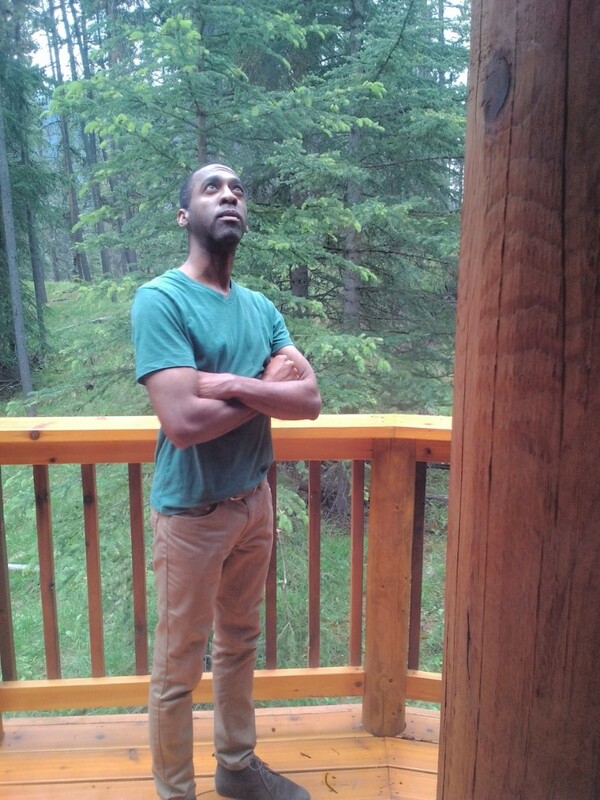 Ian Williams seeks divine inspiration at the Banff Centre. I’m glad to have a few weeks in a cabin in the woods at the Banff Centre to work on my novel. Good food, good company, constant fear of wildlife, as in flash visions of hearing a knock on my door and discovering the wolf from the Three Little Pigs. I discarded all of part 4 and rewrote it–25 000 words gone. Brutal but necessary. I’m honoured to be chosen as the 2014-2015 Canadian Writer in Residence at the University of Calgary as part of its Distinguished Writers Program. By the numbers, Representative Poetry Online (RPO) is an anthology of 4 800 poems by 700 poets over the last 1400 years hosted by the University of Toronto. In addition to keyword searches, you can also browse through poetry by timelines or maps. Here’s my page with five poems and a biography. 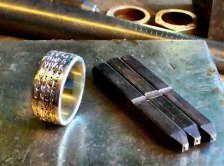 Even before writing the opening ring cycle of Personals, I have always loved the ReLit prize, the actual prize, a ring made up of four dials, each with the letters of the alphabet. Personals is shortlisted for the Robert Kroetsch Poetry Book Award. 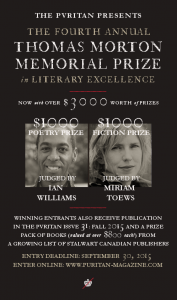 The award is presented annually to the best poetry collection published by an Alberta-based publisher. Personals is also up for a design award. 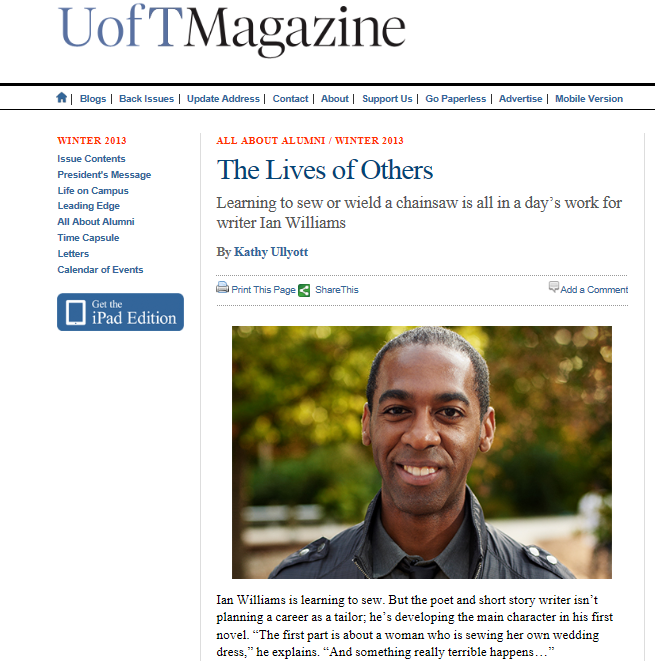 University of Toronto’s alumni magazine has a snazzy profile of me in the current issue. I sound like the offspring of Thoreau and Madame Defarge. It’s all true. I learned how to use a chainsaw because a colleague’s husband dared me to come up to their place in New Hampshire and chop wood. Read the article and I’ll blog about it soon. You dress your story for the weather as best as you can and send it out into the snowy world and hope it finds good friends. “Break In,” the split narrative story from Not Anyone’s Anything, is keeping good company in the Broadview Anthology of Short Fiction. 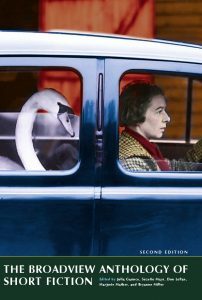 It has found a place among fiction by such short story masters as Nathaniel Hawthorne, Edgar Allan Poe, James Joyce, Ernest Hemingway, Flannery O’Connor, Alice Munro, Margaret Atwood, and Lorrie Moore. Plus Chekhov and Faulkner and Melville and Ursula Le Guin. I’m telling you, “Break In” is running with the cool, smart kids. My poem has the longest title in the anthology. 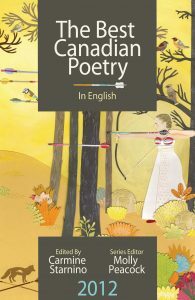 “Missed connections: Walmart automotive dept–w4m” was selected for inclusion in this year’s Best Canadian Poetry anthology. Stop by page 86 for good times. You’re watching one of them! 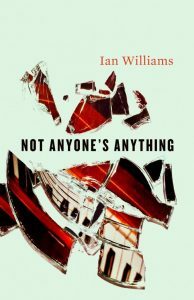 Not Anyone’s Anything Wins the Danuta Gleed Literary Award! 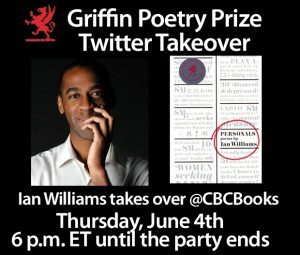 Toronto – The Writers’ Union of Canada announced today that Ian Williams is the recipient of the $10,000 first prize in the 15th annual Danuta Gleed Literary Award, recognizing the best first English language collection of short fiction by a Canadian author published in 2011.